In the years to follow, the Lydian Quartet continued to build a reputation for their depth of interpretation, performing with "a precision and involvement marking them as among the world's best quartets" (Chicago Sun-Times). Residing at Brandeis University in Waltham, Massachusetts since the group's founding, the Lydians continue to offer compelling, insightful, and dramatic performances of the quartet literature. From the acknowledged masterpieces of the classical, romantic, and modern eras to new remarkable compositions written by today's cutting edge composers, the quartet approaches music-making with a sense of exploration and personal expression that is timeless. 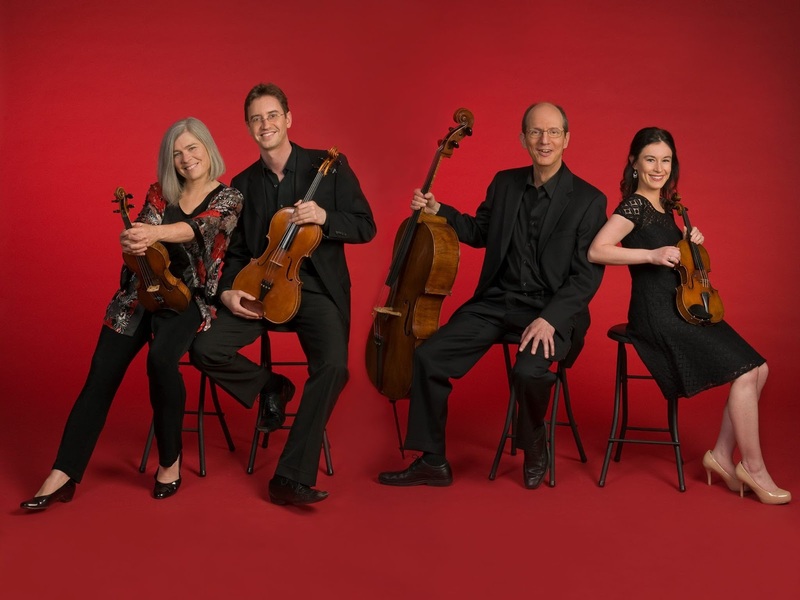 The Lydian String Quartet has performed extensively throughout the United States at venues such as Jordan Hall in Boston; the Kennedy Center and the Library of Congress in Washington, D.C.; Lincoln Center, Miller Theater, and Weill Recital Hall in New York City; the Pacific Rim Festival at the University of California at Santa Cruz; and the Slee Beethoven Series at the University at Buffalo. Abroad, the Quartet has made appearances in France, England, Italy, Switzerland, Germany, Russia, Armenia, and Taiwan. The Lydians have created intriguing thematic programming such as “Around the World in a String Quartet,” a multi-year concert series that explores string quartet music from local world musical traditions in and beyond the western European art music setting; and “Vienna and the String Quartet,” a project surveying the heart of the Western classical string quartet repertory by juxtaposing new and old Vienna. In addition to traditional concerts, the quartet offers programming with themes exploring concepts of time, place, the vernacular, and identity, as well as single composer programs, all-contemporary programs, cross-cultural collaborations, and mixed media programs (video, electronics, live painting projections). The Lydians enjoy working with other artists, in traditional configurations as well as in boundary-crossing performances. Most recently, these included such musicians as tabla player Sandeep Das, pipa player Chen Yihan, Syrian clarinetist/composer Kinan Azmeh, and others. The Lydians have long championed the commissioning, performing and recording of new works. They enjoy working with young composers at the quartet’s Brandeis home as well as in mini-residencies at universities across the US. Their five-year “American Originals” Project, from 1995-2000, featured music drawn from the rich repertoire of the 20th-Century American string quartet. During that time they performed and/or recorded over sixty works by American composers from the early twentieth century onward, accompanying concerts with workshops, lectures, and discussions. The Lydians were the first to record many of these works, helping to bring them to the forefront of the American contemporary quartet repertoire. In recognition of their work, the quartet has received numerous Chamber Music America/ASCAP Awards for Adventurous Programming, grants from the Meet the Composer/Rockefeller Foundation/AT&T Jazz Program in partnership with the National Endowment for the Arts, and the Aaron Copland Fund for Music. In 2012 their first Lydian String Quartet Commission Prize drew over 400 applicants; as a result, first prize-winner Kurt Rohde wrote his epic string quartet treatises for an unrecovered past for the Lydians, who premiered it in 2013 and recorded it in the summer of 2015. The 2015 LSQ Commission Prize was awarded to composer Steven Snowden, who wrote Bird Catching From Above for the Lydians' premiere in the spring of 2016. The 2017 LSQ Commission Prize was awarded to Saad Haddad, who wrote his String Quartet for the Lydians' premiere in the spring of 2018. The Lydians' 29 currently available commercial recordings reflect their diverse and far-reaching repertoire, including works by Beethoven, Brahms, Ives, Ornstein, Persichetti, and Schubert as well as American contemporary composers they have long known and collaborated with such as Martin Boykan, Eric Chasalow, Peter Child, John Harbison, Lee Hyla, Steven Mackey, David Rakowski, Harold Shapero, and Yehudi Wyner. Their recording of John Harbison’s String Quartet No. 3 and “The Rewaking” was chosen by both The New York Times and The Boston Globe as one of the best classical recordings of 2001. Harbison recently wrote of the quartet: "Each time I encounter the Lydian Quartet my admiration for their technical, structural, and communicative power continues to grow. They are the complete package, and the wider my travels, the deeper goes my conviction." The members of the Lydian String Quartet are on the faculty of Brandeis University, in Waltham, Massachusetts.